Peripatetic is a pretentious word for my lifestyle, as I flit around working hard in the mountains of the Alps and further afield, but there’s only one place which I call home, and I am lucky enough to live in for well over half the year. 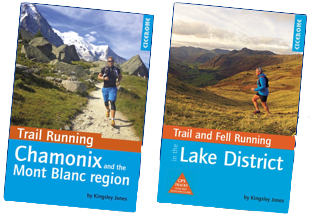 It offers some of the best mountain days, climbing, running and scenery in the world; the Lake District. It’s a landscape that draws you in, with the next fell ever beckoning you to cross its slopes, until the lure of a cozy pub draws you into the valley. I’ve run and worked all over the Alps, and competed in numerous ultra trail races all over the world, yet it’s the Lakes that always lures me back. It doesn’t have the stark granite spires of the Mont Blanc massif, or the huge mountain faces of the Andes, but the old weathered Cumbrian mountains exude a majesty and history that make them more quietly stunning and fascinating to me. The photo above is running over the summit plateau of Fairfield on a perfect winters day, with the snow covered eastern fells behind, and it just doesn’t get much better than that! 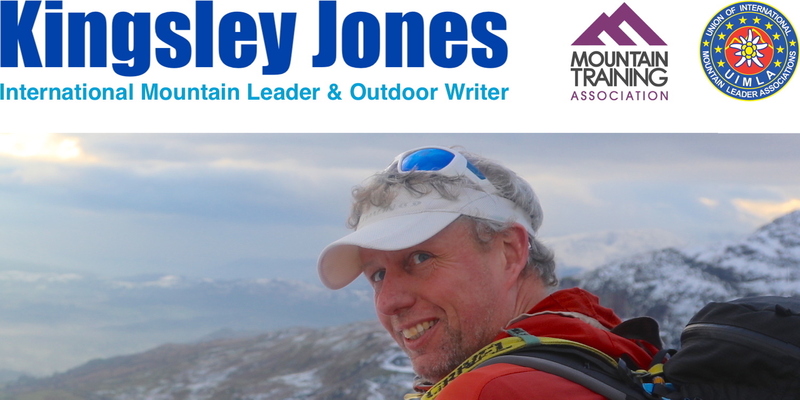 I know the fells like the back of my hand, yet am always out exploring the mountains, and every day find something I hadn’t spotted before, from a hidden cave, to a great scramble, or a better line for a flowing running descent. The constant opportunity for discovery might seem the preserve of wild mountain ranges, yet because you can visit almost every aspect of the Cumbrian fells, there’s more terrain that can be discovered, and so more finds to be made. That sense of constant exploration appealed as much to me as child raised on Swallows and Amazons books by Arthur Ransome, as it still does now. When I’m out with groups, I get asked each time without fail which is my favourite Lake District fell. The photo above shows my dog Maximus approaching the summit cairn of the answer to the question. 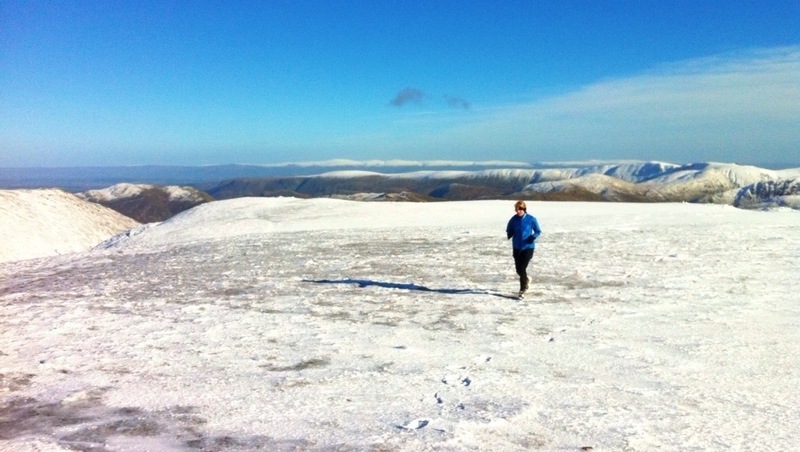 Keen fell runners and hill walkers will recognise it immediately; Pike O’Blisco. It’s may only be 705m high, but as Alfred Wainwright wrote “man has no blood in his veins who does not respond eagerly to its fine-sounding, swashbuckling name”.